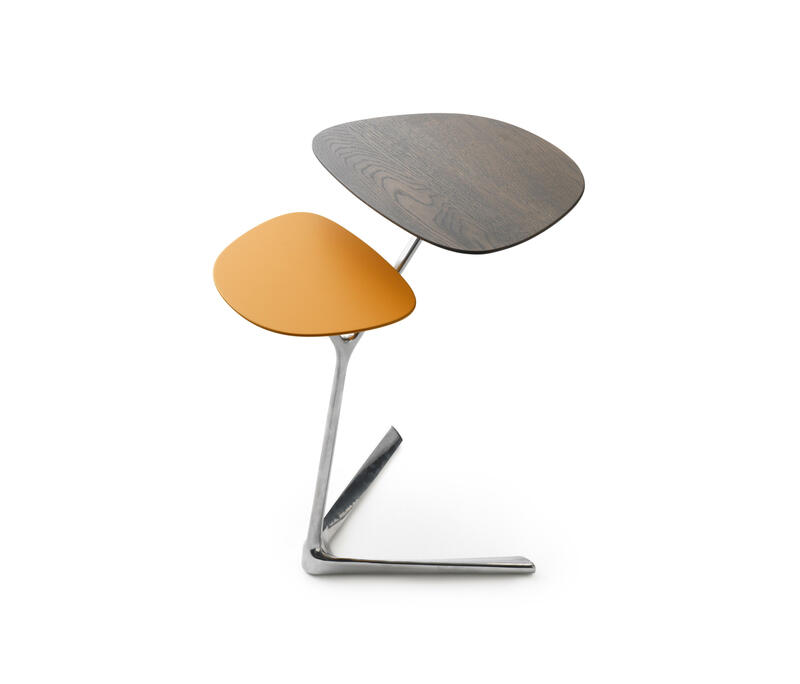 Light, refined and practical. 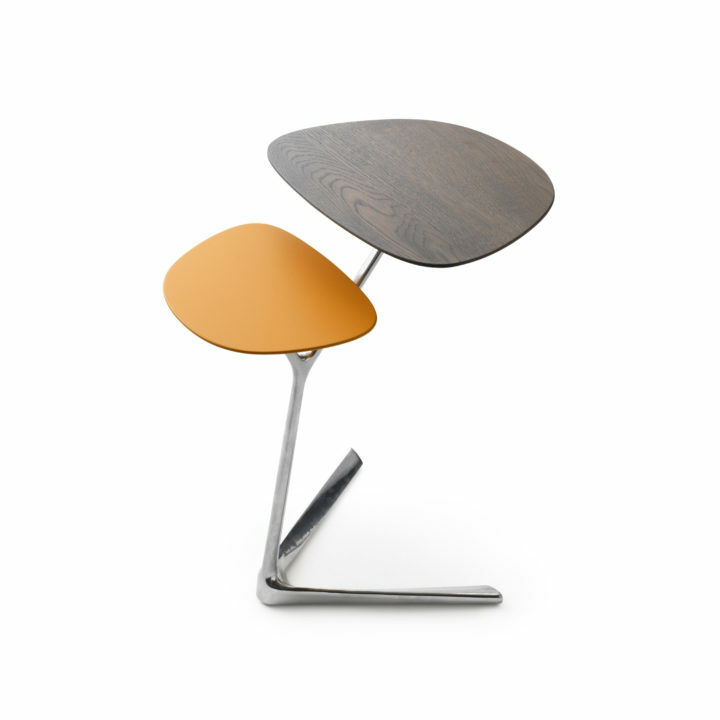 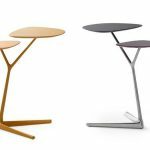 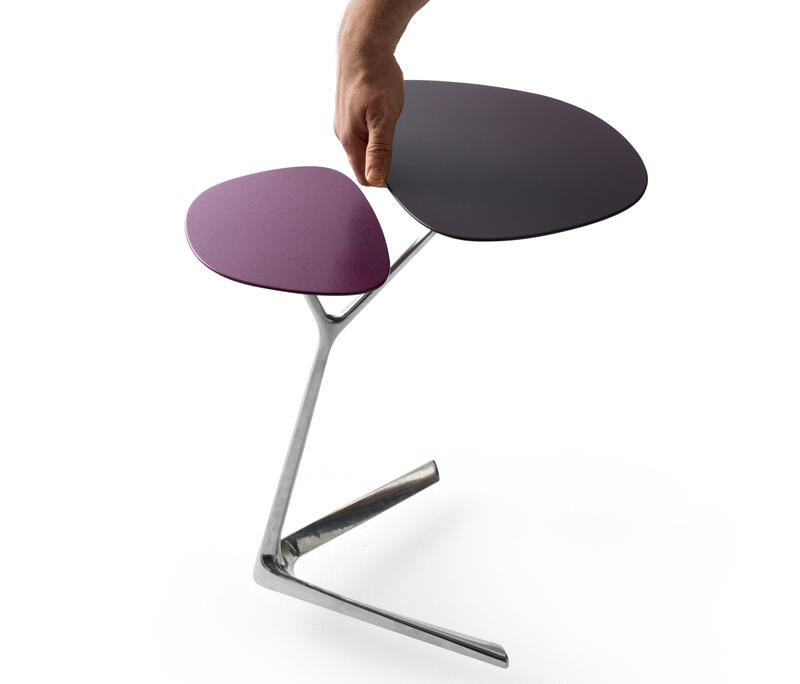 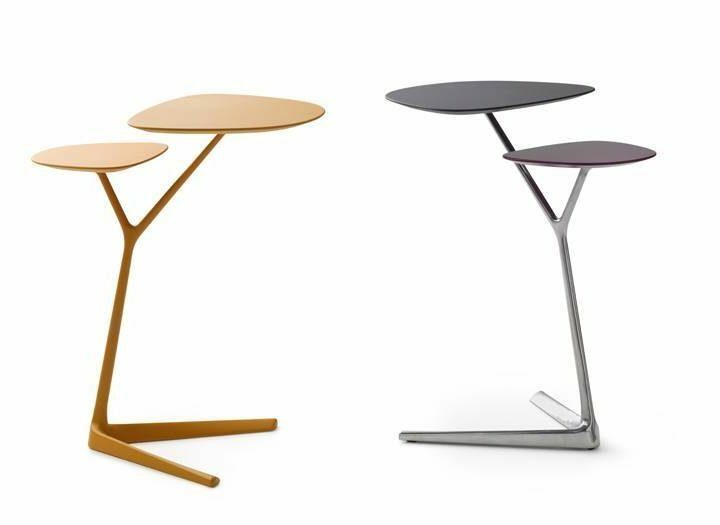 Portello has a handle under the top leaf, so you set this occasional table down at the place you want it. 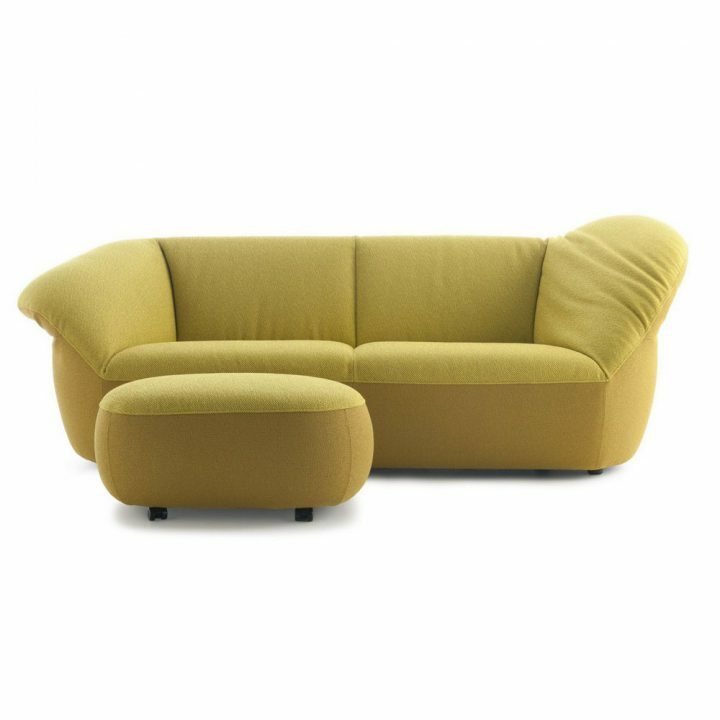 Perhaps even with the leaf above the seat of your sofa. 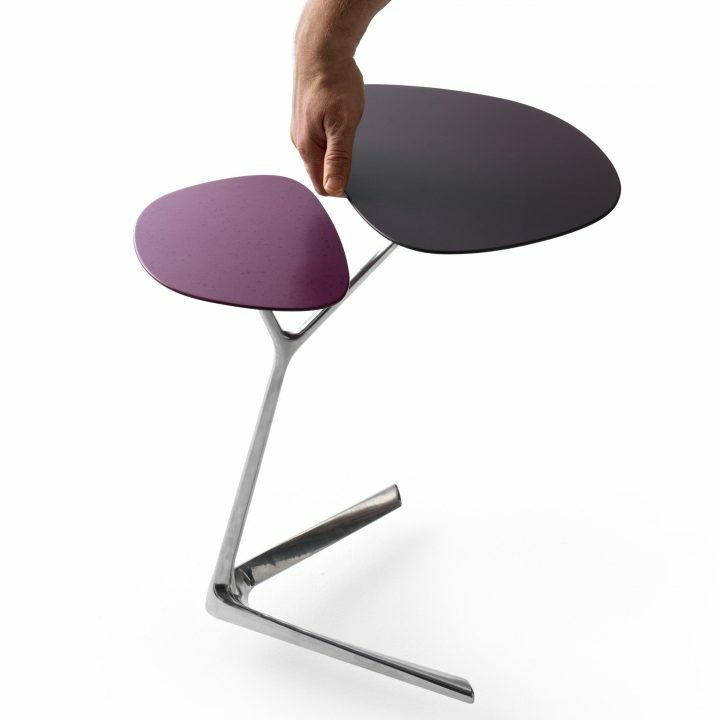 That’s possible because the height of the leaf is geared to the furniture from Leolux. 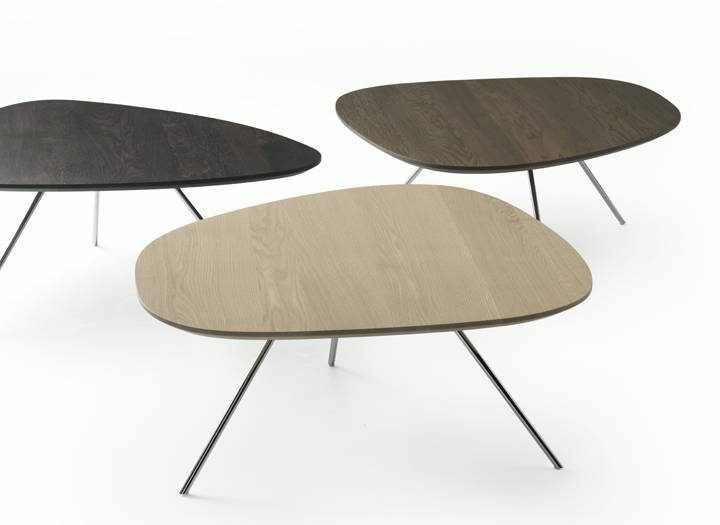 The little leaves are finished in lacquer or solid oak (stain, natural oil or Pale White oil). 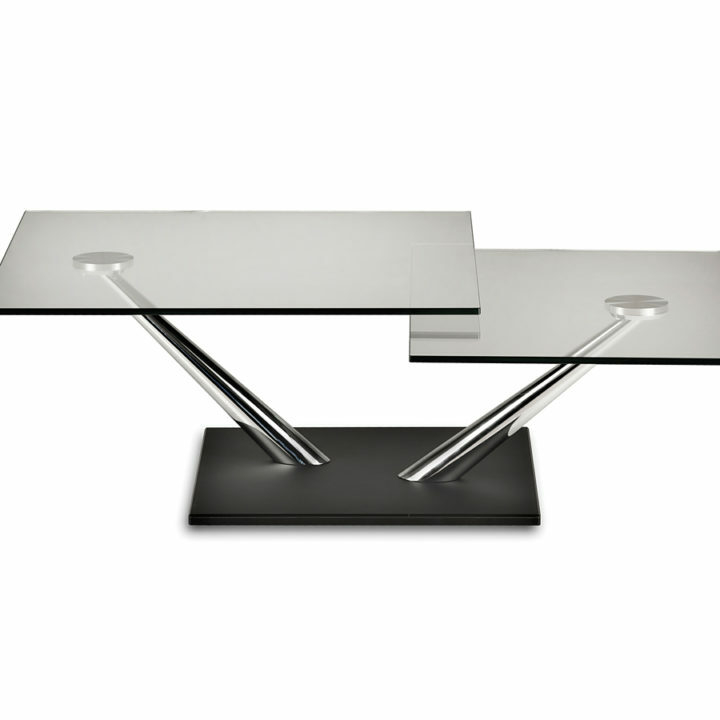 Frame in aluminium, lacquer or epoxy.